I’ve vaguely followed the Eurovision song contest — the nations of Europe choose such varied entries that it’s always interesting. But I never expected to see a Benedictine abbot among the contenders. It’s happening this year. 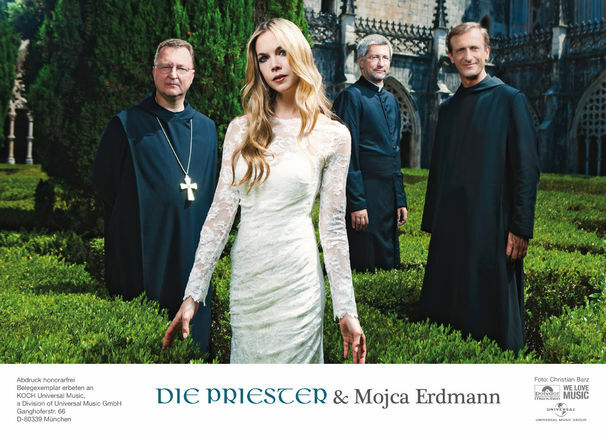 Die Priester is one of the 12 finalists who will compete on February 14 to represent Germany at Eurovision 2013. Abbot Rhabanus Peter (Schweiklberg Abbey), Fr. Vianey Meister (another Missionary Benedictine), and Fr. Andreas Schätzle (a diocesan priest from Vienna) carried out an idea that originated with Abbot Primate Notker Wolf and the Cistercian monks of Stift Heiligenkreuz Wallner: to bring the traditional music of the Church closer to the people by presenting it in a 21st century style. Their first CD, Spiritus Dei, was a Top Ten album in 2011. For the Eurovision competition, they worked with soprano Mojca Erdmann. Want see and hear their entry for Eurovision? Click on this link to go to the video.